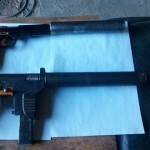 Images shared via social media purport to show new “silent weapons for special forces of the [Donetsk People’s] Republic”. Information accompanying the images claims they are manufactured locally by DPR (Donetsk People’s Republic) separatist forces in Donbass. 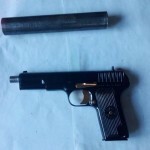 One of the weapons, dubbed ‘Deaf-mute Aunt Tanya from Donbas’, appears to be a modified Russian TT-33 type self-loading pistol which has been converted to chamber the 9 x 18 Makarov cartridge with the addition of a newly-manufactured barrel. 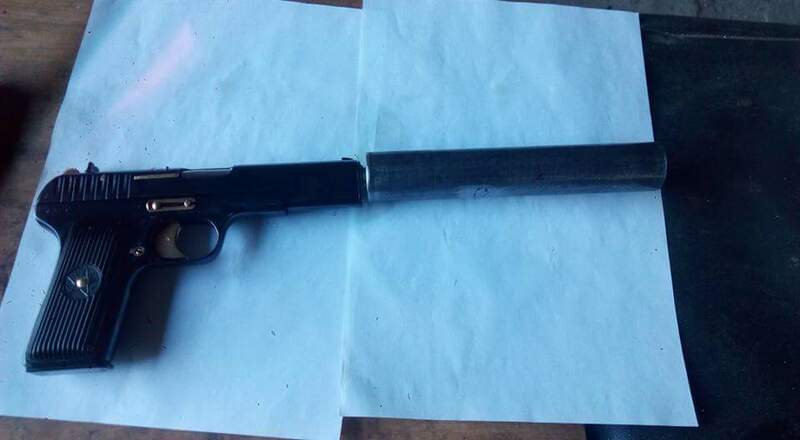 This barrel is threaded to accept a suppressor. Also shown are two locally-produced submachine guns, one of which was previously documented in ARES Research Report No.3, Raising Red Flags. 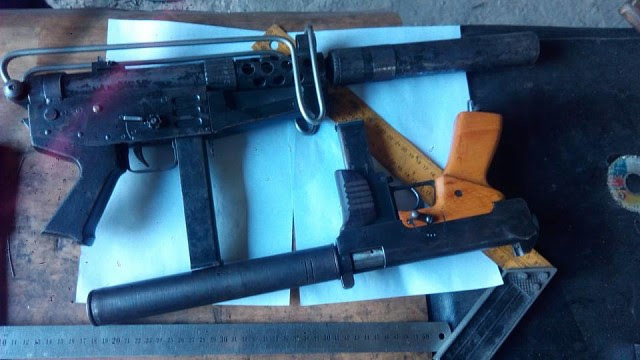 This particular weapon appears to be a derivative of a submachine gun produced in the early 1990s at the Zavod Arsenal plant in Kiev, and is possibly a continuation of this production by separatist forces. 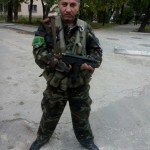 The weapon can be seen fielded by a separatist fighter with the suppressor and wire stock removed. 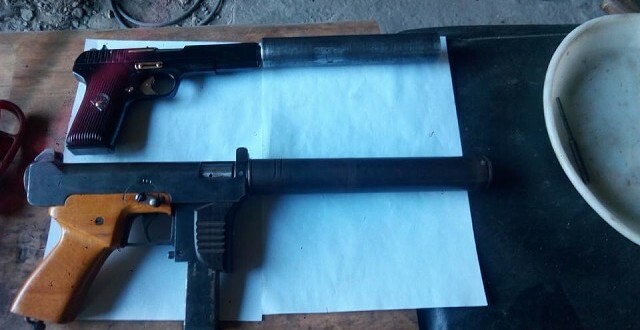 A smaller submachine gun which is also shown appears to incorporate an integrally-suppressed barrel unit. Such a configuration reduces overall length whilst still incorporating a suppressor of a useful and effective size.